Catty Noir? - credit. new. Wallpaper and background images in the Monster High club tagged: monster high. Is she made up or real? if so, where is she from. 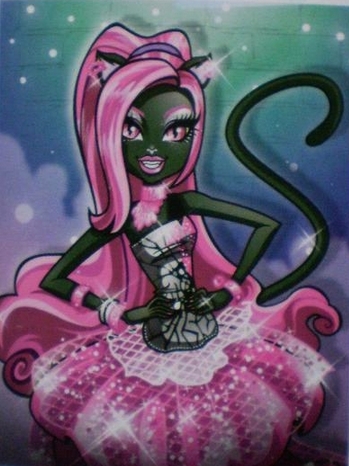 This is a real ghoul, I'm not sure if she's a doll or not, but in the ghouls night out journals Catty Noir is mentioned as a famous popstar. I WOULD LOVE A DOLL OF HER!